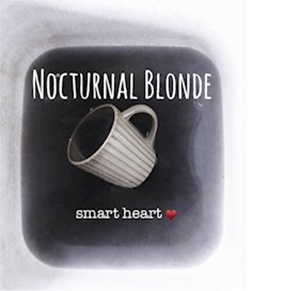 With nominal connections to Michael Stipe of R.E.M., Athens, Georgia’s Nocturnal Blonde clearly have local musical celebrities on their side. A project started as a collaboration between brothers Ritchie and David Williams with vocals from Rachel Grace, the band’s debut EP Smart Heart is intended to keep the discussing going about substance abuse; especially after David Williams himself incurred significant neurological damage after an overdose. Consequently, it’s not an EP to be listened to lightly, but neither does it come across as depressing or overly pedantic. Conversely, it’s more often than not cautionary and occasionally inspirational, even if it concludes more as an open ended question than a definitive answer. The production is straightforward (almost lo-fi at times), and the instrumentation is fairly stripped back. The point of all of this is to put absolute focus on the lyrics. “Blown Away,” for instance, has the feeling of a rawer Pink Floyd, retaining the essential groove while maximizing the moodiness of Grace’s singing. The title track “Smart Heart” is the barest song on the EP with little more than percussion for most of the track, but it is also the most effective as the emphasis is on the beautiful, heart-wrenching duet between Grace and Ritchie Williams. As the EP is a little ephemeral, it could use some beefing up, but it remains a touching tribute to a cause which deserves far more attention.